Do I really need NINE new handwoven towels? I’m trying to bust through the last 3 kitchen towels (out of 9 total) that I currently have on the loom. Gah. I’m getting bored bored bored! So, I’m itching to start another project. The long warp, 9 yards, is taking me FOREVER. I’m tempted to cut it off after I finish the seventh one but that would be horribly wasteful. Maybe I need a second loom. Or I need to quit my job so that I can weave more. Beginning of Towel 7 of 9. 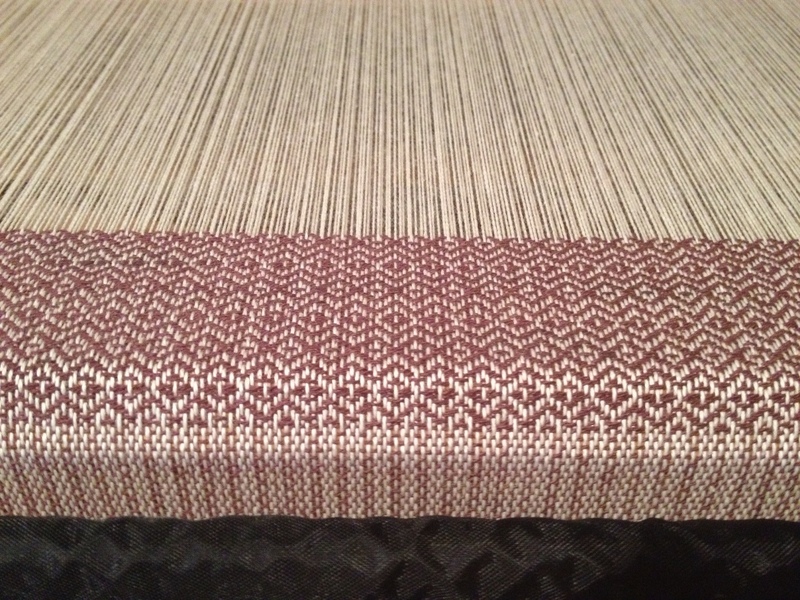 Up next is a table runner from Handwoven magazine, like this one. I’ve already wound the warp…. it almost 580 ends, but was only 2 yards long so it went super fast. I’m thinking that if this turns out well, I’ll be giving it as a wedding gift. 20/2 cotton – super thin! 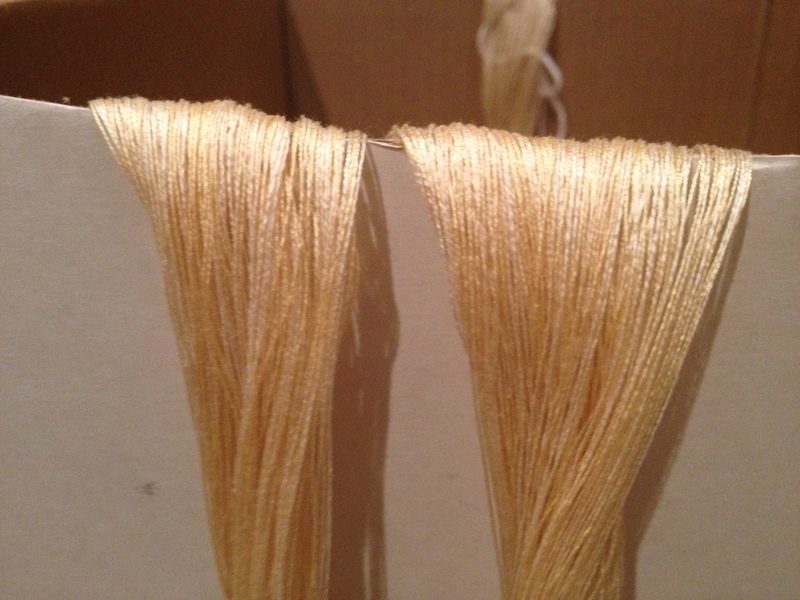 This warp is made out of two slightly different colors, “champagne” and “flaxen,” to give visual interest & depth.